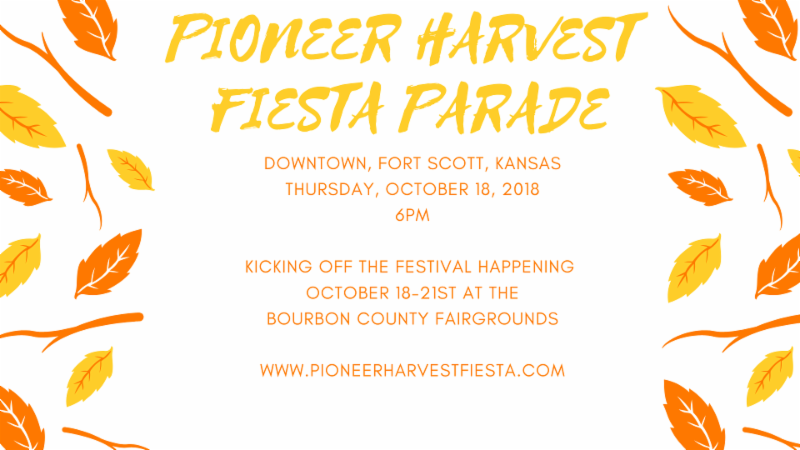 The Fort Scott Area Chamber of Commerce Invites you to the 2018 Pioneer Harvest Parade, this Thursday night at 6:00 pm. This parade of antique, classic farm implements through the streets of Fort Scott’s historic downtown kicks off this weekends Pioneer Harvest Fiesta! To visit the Pioneer Harvest Fiesta Facebook page, click here. To visit their website, click here.